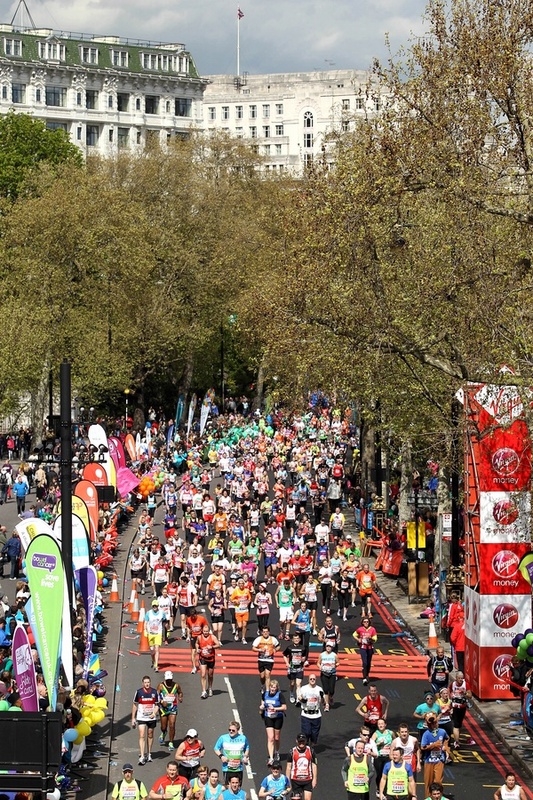 75,084 – That’s the number of feet that stepped on (or over) our slip-resistant matting at the 2012 London Marathon! When the registration desk closed, 37,542 accepted applicants had picked up their running numbers and timing tags. For the second year in a row, over 5,000 square feet of PEM High Friction Matting was utilized as timing mats throughout the 26.2 mile course. While we aren’t running side-by-side with those running fanatics, we are thrilled to know we supported their efforts! Runners and fans alike were sure to notice the bright red matting spotted throughout the race, including the start and finish lines. Marathon running is a sport of excess. Most people focus on the most popular number – 26.2 – the number of miles traveled in each race. 101 – The age of the oldest man running. Wow. Yes, you read that right. 101! 1,250 – Number or portable toilets at the start, on course and at the finish line. That’s a lot of loo’s! 3,450 – Number of trash bags filled after the race. For the record, they’re called rubbish bags in London. Love that! 29 – Number of Guinness World Records set at this year’s race. Did you know there’s a record for the fastest marathon in a two-person pantomime costume? We didn’t! Have a race coming up? Give us a call at 1-800-783-2358 for information about using our slip-resistant surfaces at your next event!